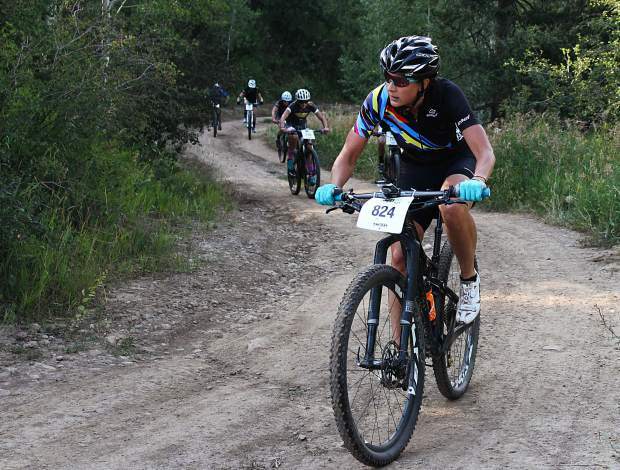 Cyclists climb up the three-and-a-half mile course of the Davos Dash race on Wednesday, August 2, in Vail. People here have taught me a lot. They’ve taught me to be more confident, to try more things, even to ask for help. Between working at the Vail Daily and interacting with people around the valley, there’s plenty of people to learn from. Whether it’s an artist at a show giving me travel tips or a reporter at the office showing me how to approach an article, there is so much knowledge floating around this area, and people are more than eager to share. My biggest problem, I’ve always thought, is my stubbornness, which means that I often struggle more than I probably need to. I usually try to stay pretty self-sufficient. But here, people encourage asking for help — everyone at the Vail Daily constantly offers help. Even outside the office when I’m wandering around an event, either because I’ve lost the people I’m with or I can’t find the entrance, total strangers will offer their assistance. And that eagerness to help has helped to give me the comfort and confidence to be the first to ask for help instead of forcing my way through it. Although my usual approach holds some potential for learning (and frustration), it is much more efficient to ask for help. And when I’m on a deadline for the paper, or I’m trying to get a show in Eagle, the time crunch gives me a push to ask for help once in a while. Even if I don’t ask for help, or even if I don’t need any specific help for once, people are more than willing to help me out in some other way, even if it’s by making conversation. While wandering around the other day at the annual Beaver Creek Art Festival, I ended up getting advice and tips, all wrapped up in entertaining conversations, from four artists. The way that help is given is an important lesson that I’ve learned here, too. It’s not about showing off how much more you know, but figuring out the clearest way to explain or show something, and doing so patiently. I’ve rarely felt silly or annoying when I’ve asked a question, even in the office, where everyone is on a tight deadline all the time. Simply taking the time to answer a quick question politely and with a smile can go a long ways toward making the next question easier to ask. I hadn’t fully realized this before I was the one peppering people with questions, both for and at work, but it is something I’ll be remembering. I’ve been informed that I’m not allowed to take the whole valley with me when I leave next week, so I guess I’ll just have to take the lessons I’ve learned instead. Lindsay Bribiescas is interning at the Vail Daily this summer. She attended UCLA for one year and calls Santa Rosa, California, home. After the summer, she’ll head to St. Andrews in Scotland to finish her college degree. Contact her at lindsay@vaildaily.com.